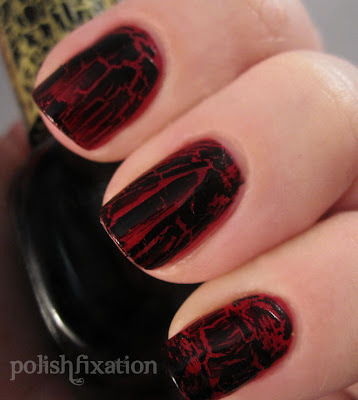 polish fixation: Nicka K New York! Happy Friday everyone! Hopefully you have all had a wonderful week and fun plans for the weekend! Today's post is another exciting one! I am sharing with you some polishes from a brand that I don't see around the blogs very much but totally deserves to get more attention: Nicka K New York! Nicka K New York polishes are Big-3-Free! (Free of toluene, formaldehyde and DBP). I don't know why more people don't know about this brand because the polishes I have used thus far are absolutely gorgeous and they are super affordable starting from just $1.49 on their website! Here's the most awesome part: If you like what you see here today, you can now take advantage of Nicka K New York's Fall Promotion and receive 25% off your order! Baked Brown is a bronzy-brown color with a gorgeous metallic finish. I don't even usually like colors like this one but I think it's super pretty, especially for fall! I can see some brush strokes in the application but I think for this polish it actually adds to it in a positive way! I loved the formula on this, it was opaque in only 1 coat! The consistency was perfect! Fantasy is another metallic shiny finished polish. This is an amazing shade of purple/magenta. Pictured is two coats. It applied smoothly and evenly. I think it's slightly lighter than it appears in this picture, but it's mostly color-accurate. Love this one too! Red Gems is a stunning metallic red polish. One coat and you're good to go with this one! I really love the shine on this one. I love that it's such a bright shade of red, as most metallic reds I own are darker shades and most of my bright reds are cremes, so this is a nice change of pace. This is definitely one of my favorites! 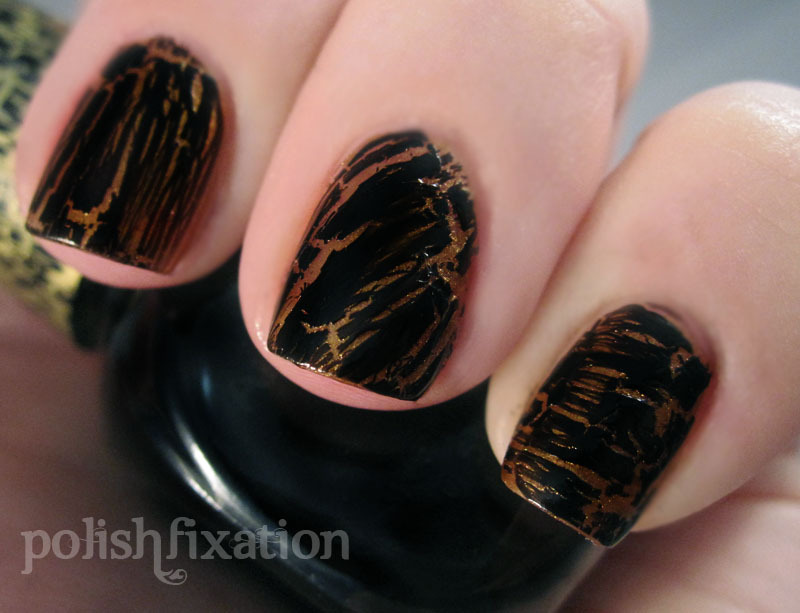 Lastly, I was also able to try out NK's Crackle polish, which is actually under their "Absolute!" or "A!" 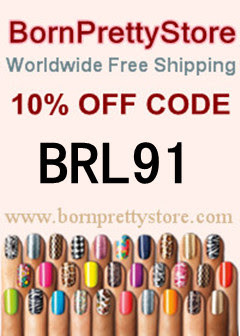 label (also available in the Nail Polish section of their site). Honestly when I first saw I was going to be trying out a shatter my heart sunk a little because I haven't really been much in the mood for it lately, but I have to tell you that I am SO happy I tried this one out! When I tell you that this Black Crackle is the best one I've used so far (and I've tried a LOT of crackles!) it is an understatement. The Absolute! Black Crackle was SO easy to work with! It did not get all thick and gross as I used it more, and it crackled easily for me every time without fail! It didn't matter if I applied it in a thin coat or a thick coat, it still worked the way I wanted it to! Let me show you the results! I played around with it a bit and in each picture I applied the crackle slightly differently to each nail shown so that you can see the different looks you can achieve by using this product. 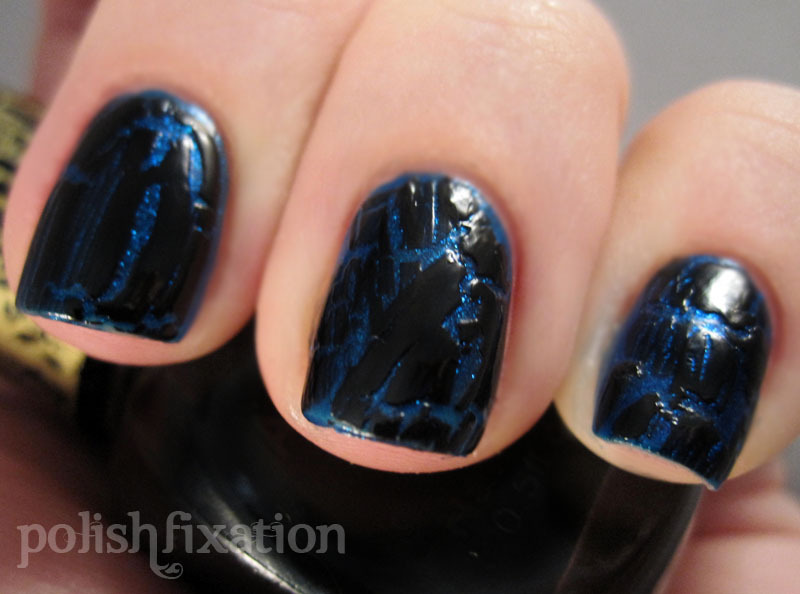 As you can see, the Absolute Black Crackle was super consistent for me and looks amazing! You should definitely pick up a bottle of it if you haven't yet found a reliable black crackle polish! As far as availability, I've seen this brand sold only in one place so far, near where my family lives in NYC...but for most of you, their website is probably the best option for you. You should definitely act now and take advantage of their Fall Promotion because 25% off is a great savings! It is running from Today (November 11, 2011) until November 28, 2011! These are really pretty... I loved Baked Brown!! Thanks for sharing! I love the colors! I love the price! Fantasy and Blue Sapphire are GORGEOUS! Never heard of this brand before, but these sure are some gorgeous colors~! LOVE Blue Sapphire! I really like the different crackle looks too- gonna try one out next week! I'm seriously lacking in the creativity department. Why didn't I think to mess around with my crackles? Genius!